Along the expanse of the Belize Barrier Reef, there are countless areas to snorkel and dive. 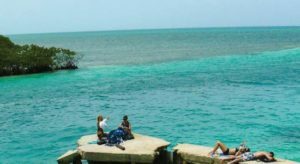 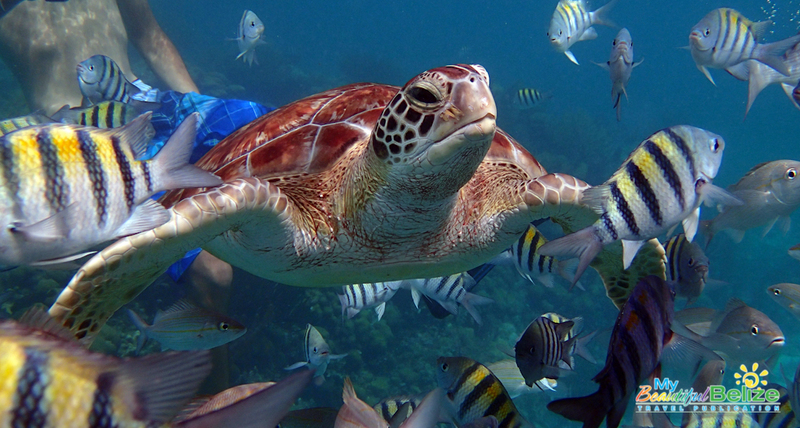 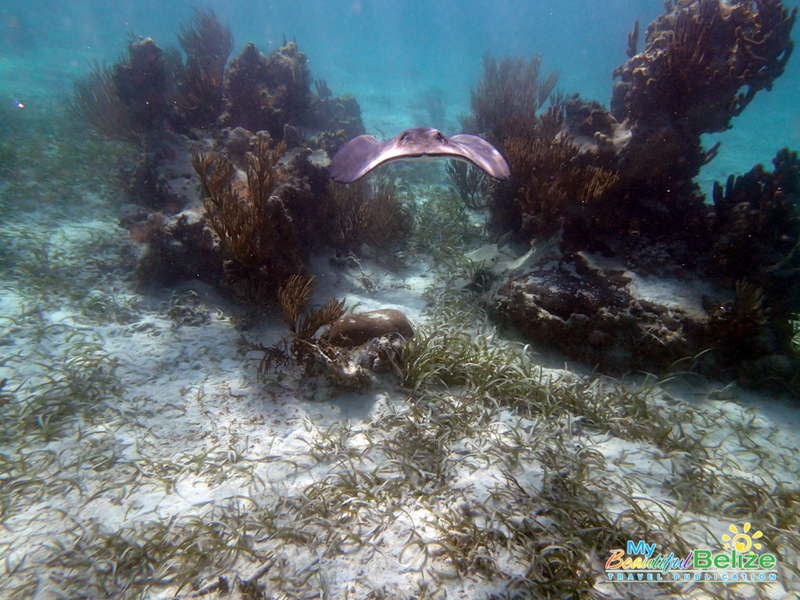 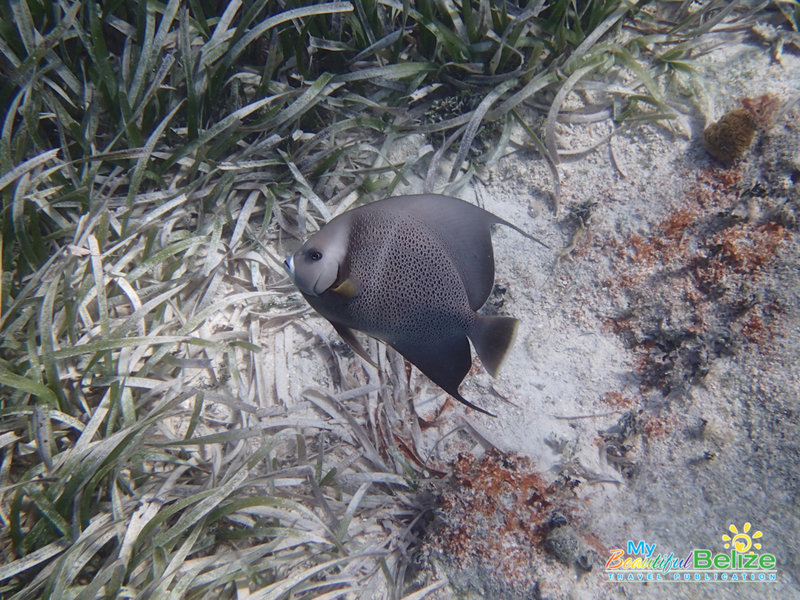 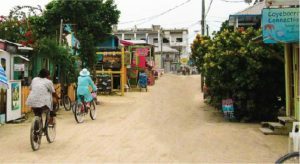 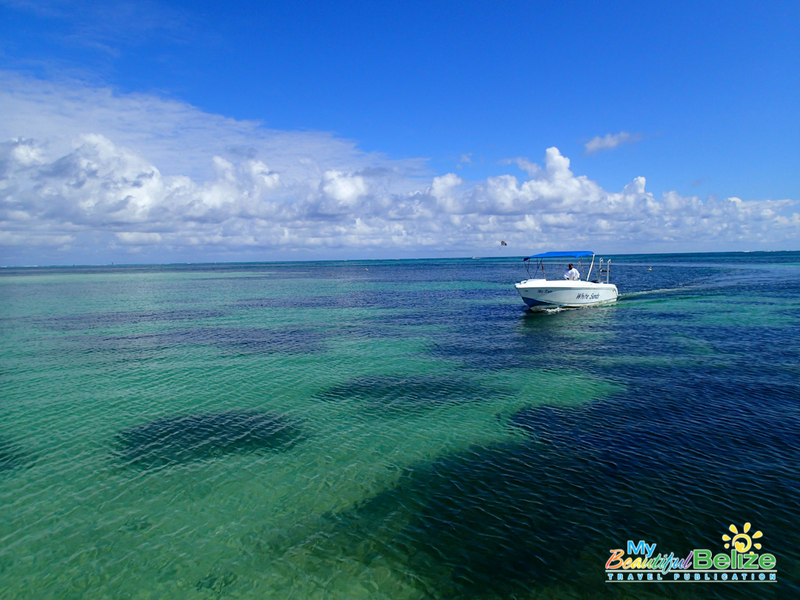 Many of these areas have been designated Marine Reserves, and off the coast of Ambergris Caye, one of the newest protected areas is the popular Mexico Rocks recreational site. 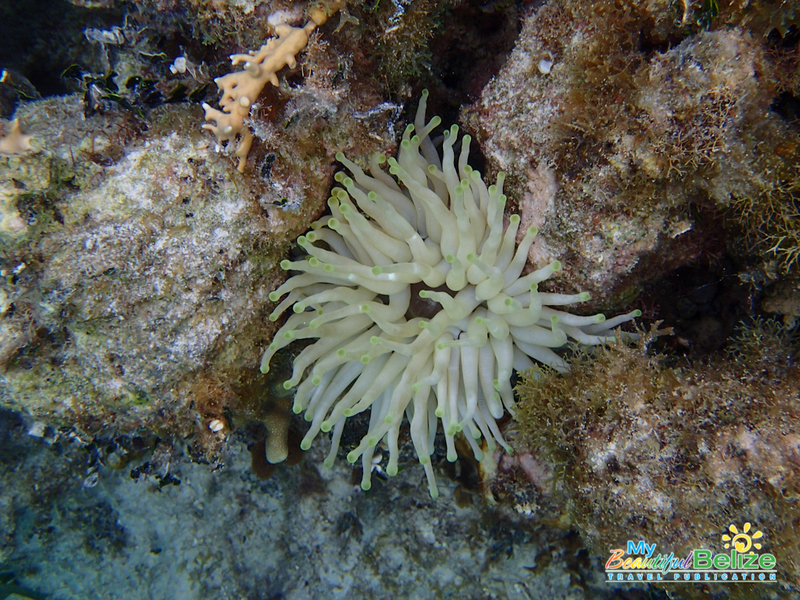 When it comes to exploring this underwater jewel, be it with an air tank on your back or a snorkel in your mouth, the super friendly professionals at White Sands Dive Shop know this area like the back of their flipper! 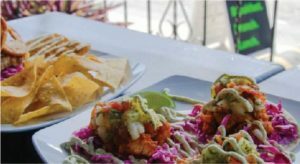 Located just minutes from several dive and snorkel sites, White Sands Dive Shop offers a variety of subaquatic experiences, with Mexico Rocks being one of their favorite places to take snorkelers and divers who are just learning to dive, are refreshing their skills or just prefer shallower water. 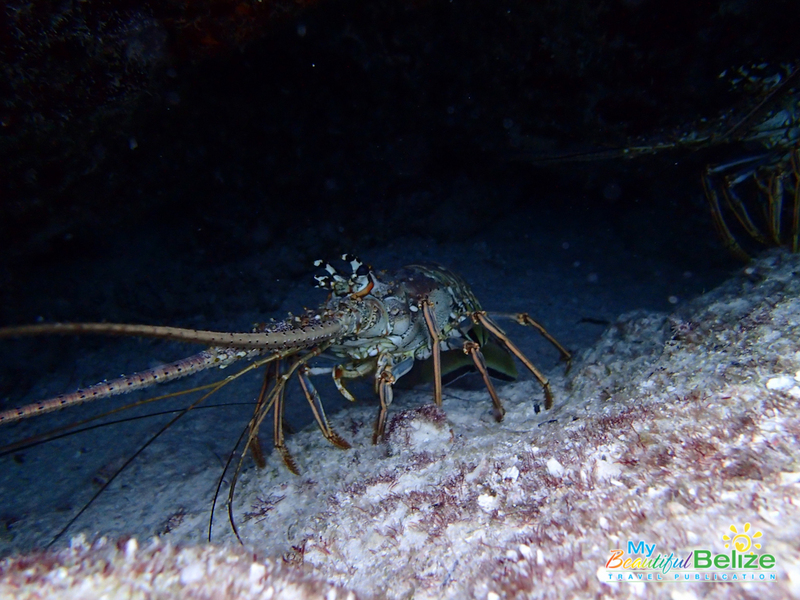 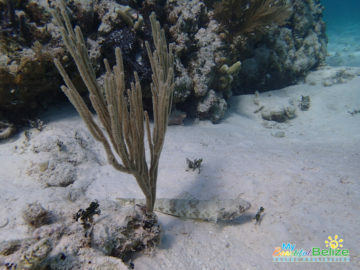 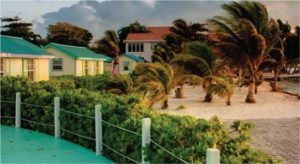 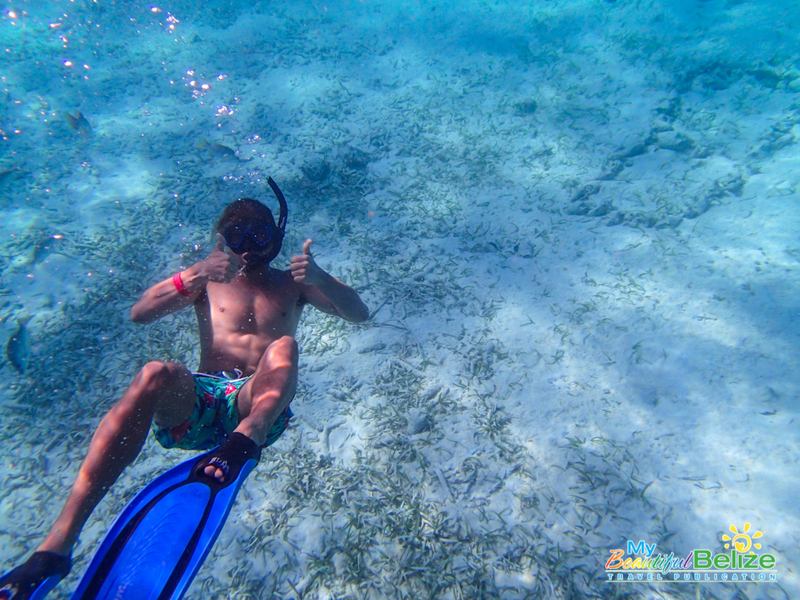 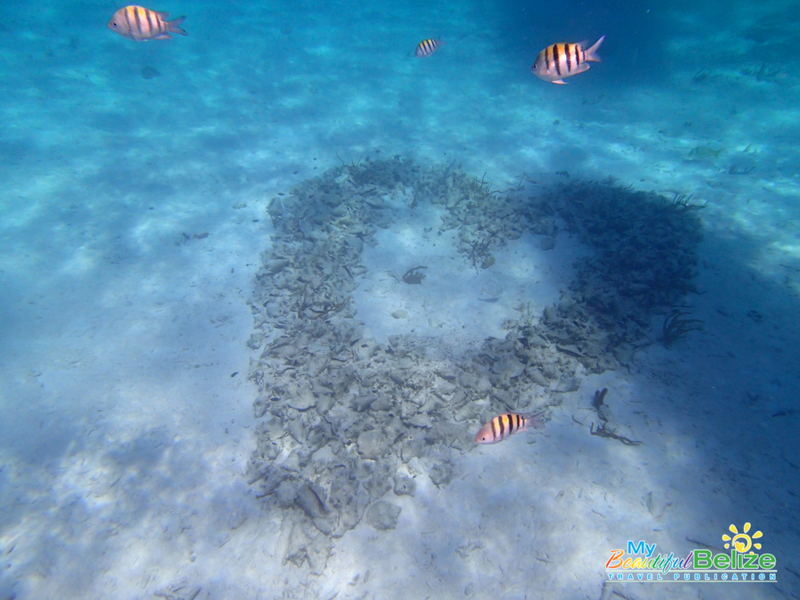 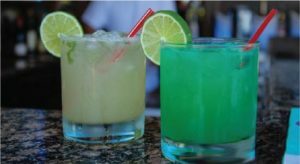 For folks who have SCUBA divers and snorkelers in their group, this site beautifully accommodates both, with the White Sands Dive Shop guides skillfully leading each “school” throughout their underwater discovery. 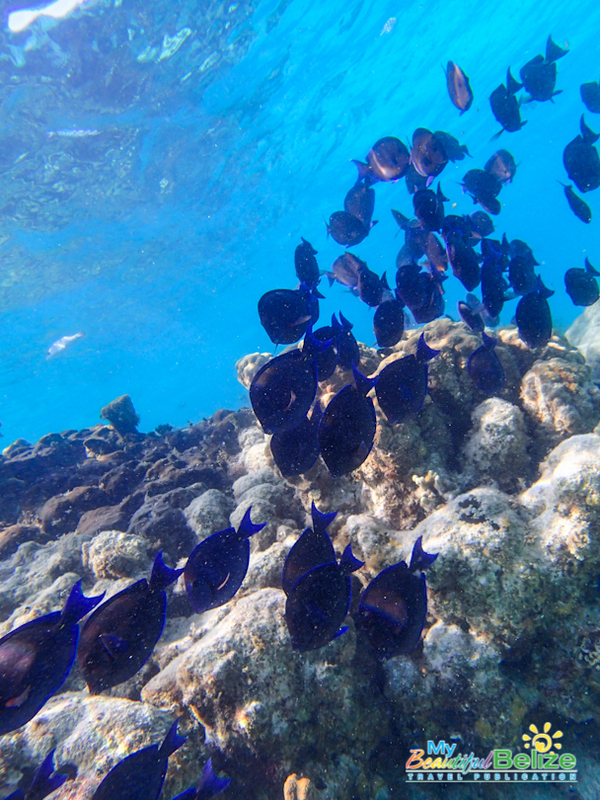 It’s also fun to spot your friends or family from below or above the water when exploring the seascape! Mexico Rocks became a part of the Hol Chan Marine Reserve in 2015, with Zone G designated as the Mexico Rocks General Use Area for snorkeling and diving. 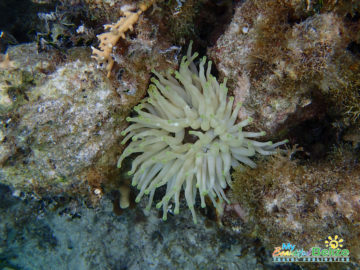 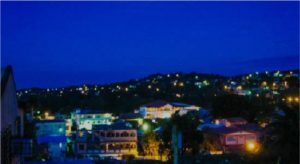 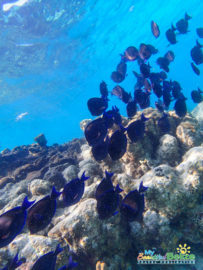 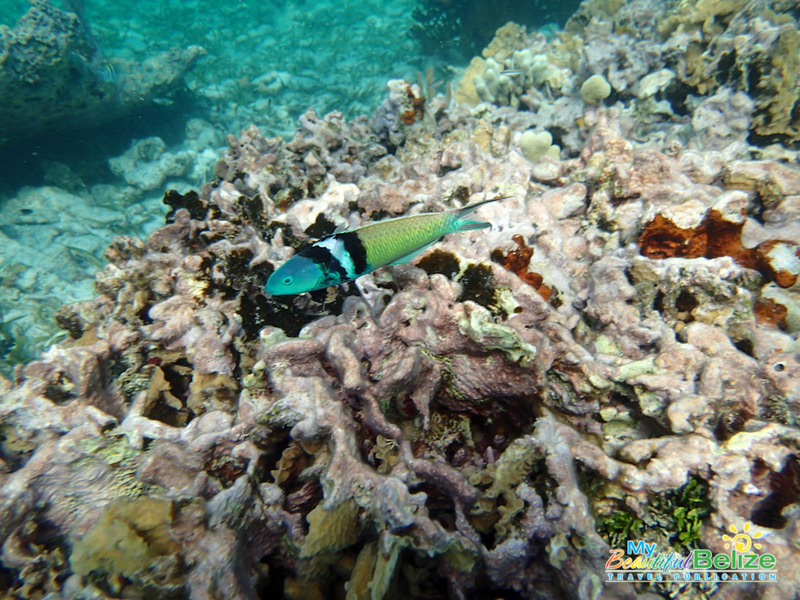 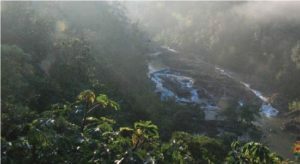 Although the site is popular with many tour companies on the island, the area is less congested than the celebrated Hol Chan Marine Reserve Zone A which can attract hundreds of people a day. 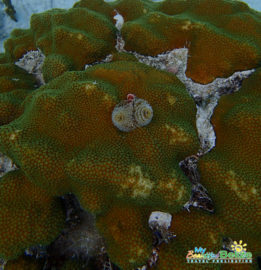 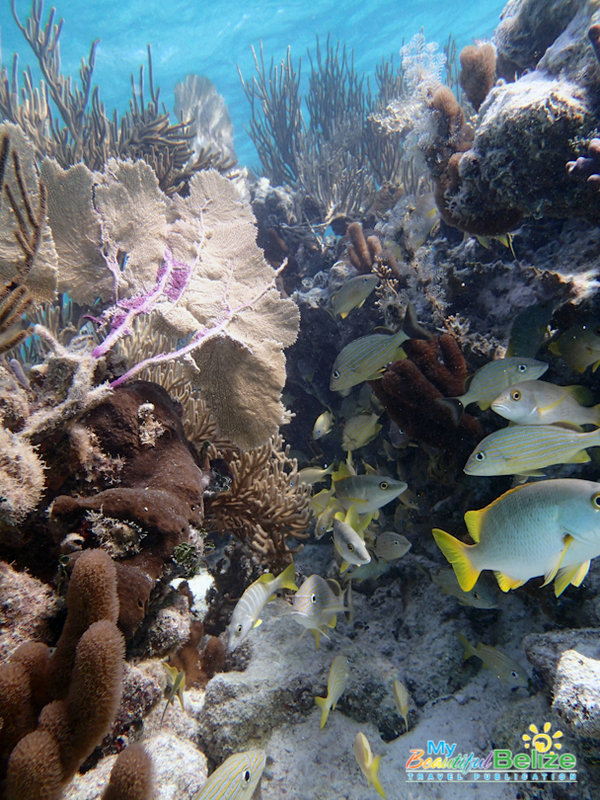 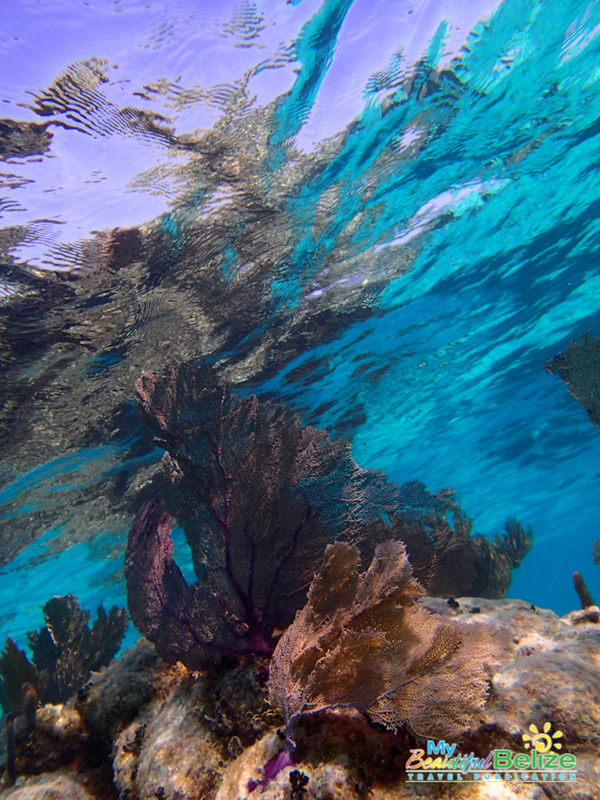 As in many protected marine areas in Belize, divers can enjoy an abundance of healthy corals and stunning wildlife. 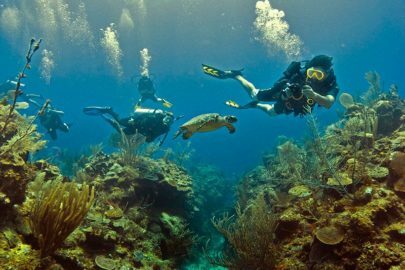 From turtles to moray eels and spotted eagle rays, to vibrant fish in a kaleidoscope of colors, this is world-class diving at its best. Interested in learning how to dive while in Belize? 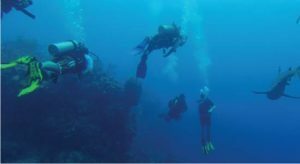 White Sands Dive Shop not only offers certification courses but you can get a head start on preparing before you reach through the online Professional Association of Diving Instructors (PADI) eLearning program. White Sands Dive Shop is a full service 5 Star PADI Dive Shop specializing in daily diving, SCUBA instruction and snorkeling. 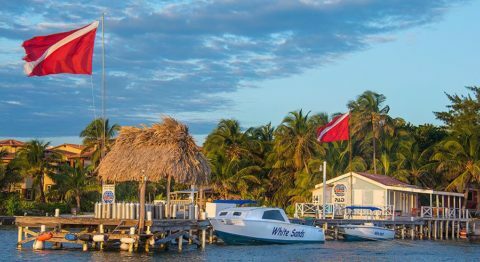 They conveniently pick you up from the dock at or nearest to your hotel and are fully equipped with the best in dive and snorkel gear. 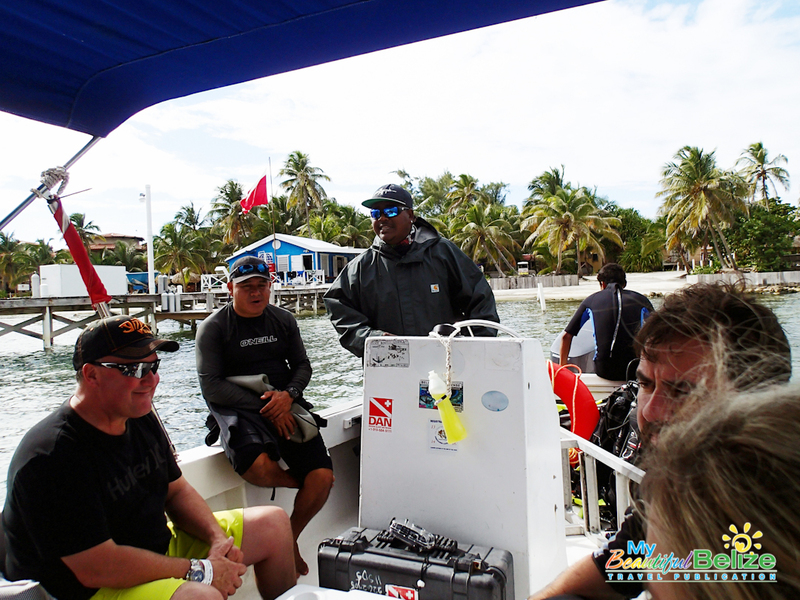 For more information please visit their website at www.whitesandsdiveshop.com.